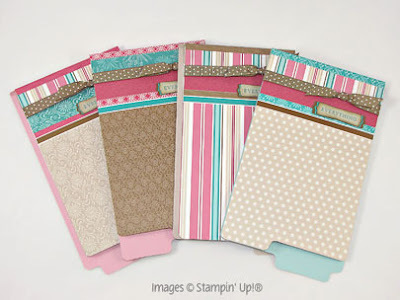 Craftin' Caro: Up to 50% off AND a new Free Tutorial! Up to 50% off AND a new Free Tutorial! Stampin' Up! has JUST announced a fabulous EXTRAVAGANZA sale from November 23-30th with sales of up to 50%! Please feel free to order online or through me (phone or email)... whichever is more convenient for you. To help better celebrate this sale, I'm also offering this bonus tutorial on top of my November Tutorial to ANYONE placing an order or coming to a class this week -- yup, the holiday spirit is officially here and I want you to benefit from it! 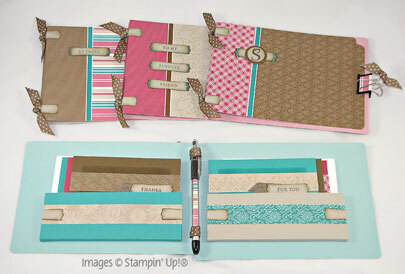 Enjoy the bold colours, trendy designs and great organized functionality of this unique set! Use the notepad for your daily to-do list or journal and enjoy the rich cheerful colours every day. Having ready-to-use cards organized and at hand in a card folder or Forget-Me-Not Keeper will make sending cards and notes a snap. Now that is sure to bring a smile to your face! 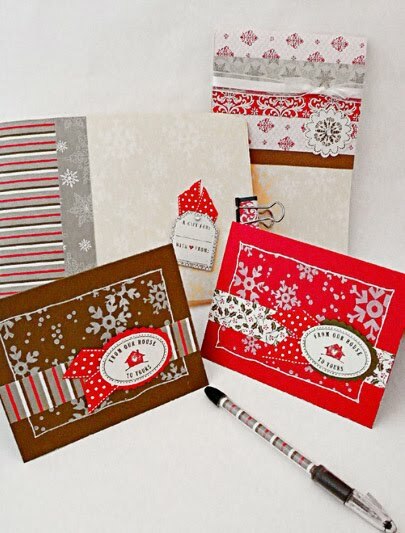 Pass on the cheer when you make sets to give as a gift to a friend, hostess or coworker to add heartfelt warmth to their home or office. 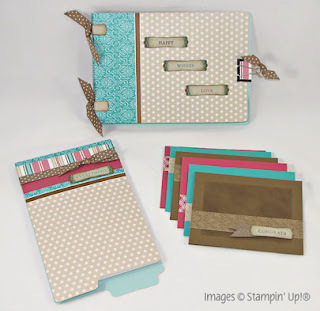 These projects feature the Thoroughly Modern File Folders and Designer Series Paper (DSP). The projects create a colorful spin for home and office style. All the inspiration you need to make beautiful and functional sets for home, office and gifts for any occasion. 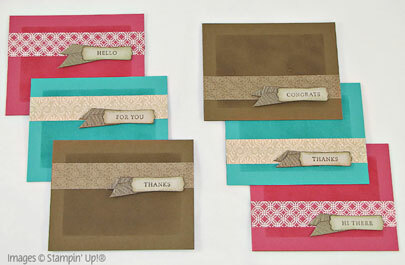 Here's an alternate project grouping; same ideas... different colours!